The Princess portraits are works in progress. 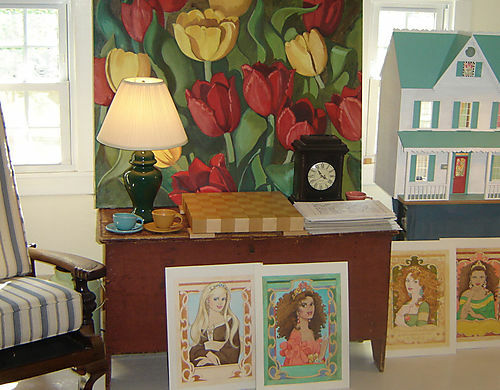 The backdrop is one of a pair of tulip paintings of mine. It is oil on canvas. To go back to my HOME PAGE, click on ermillerdesigns in the gray band at the top of the page.